I actually have a few items for sale. Click on the "Shop" tab for more info. Right now I am only accepting PayPal payments (unless I happen to know you personally). 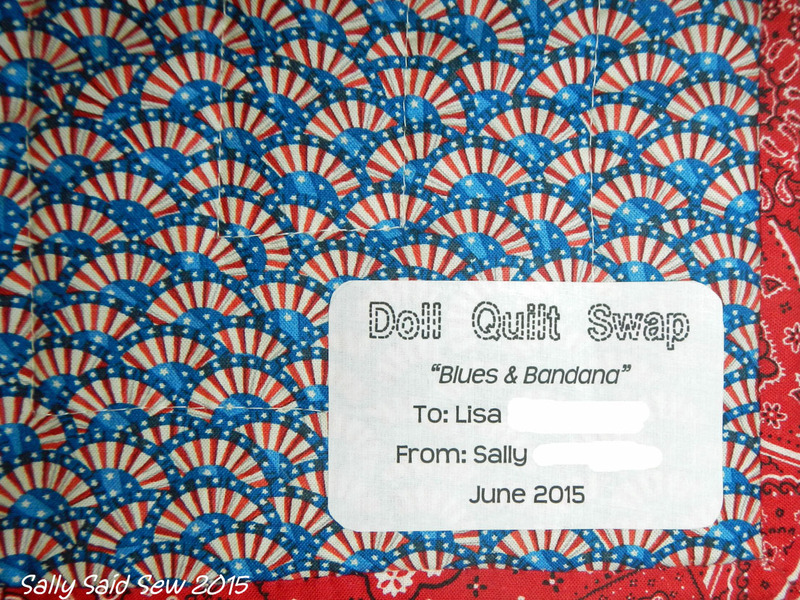 Now that I no longer have to travel for work, I opted back in on the Doll Quilt Swap for June. 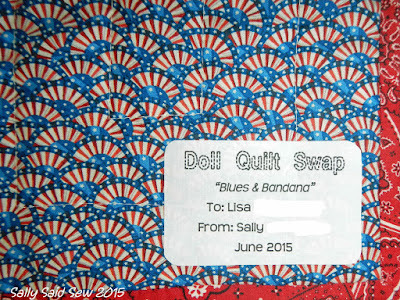 This month's theme was "Patriotic". 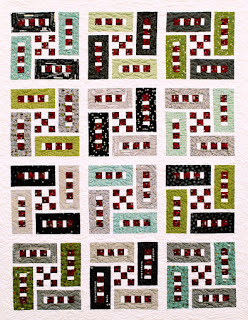 I own a quilt pattern by This & That called Sideways & Byways. 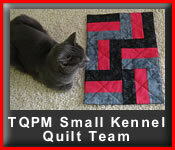 One day I will make this quilt, but for now, I thought the block pattern would make a cute mini quilt. Here is my block in a red, white and blue theme. 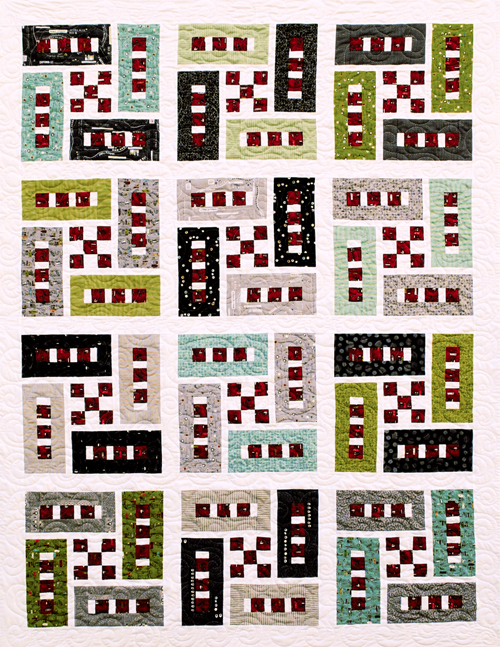 I stitched in the ditch to quilt it. For the red, I used a fabric printed like a bandana. It's an all-American print for me since it reminds me of cowboys. Finished size is 18.5" x 18.5". This was a very easy block to make. The pattern is well-written and easy to follow. I highly recommend this pattern. 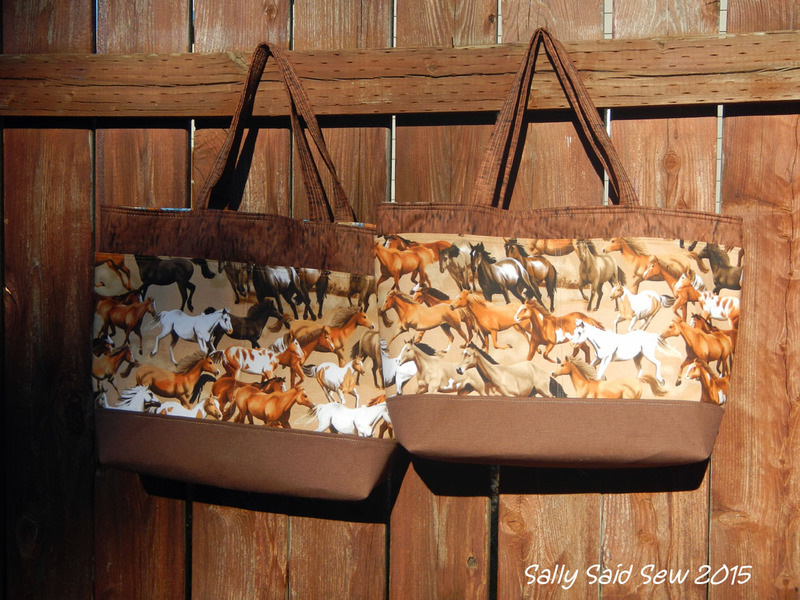 Three custom ordered totes for tote bags shipped this week. 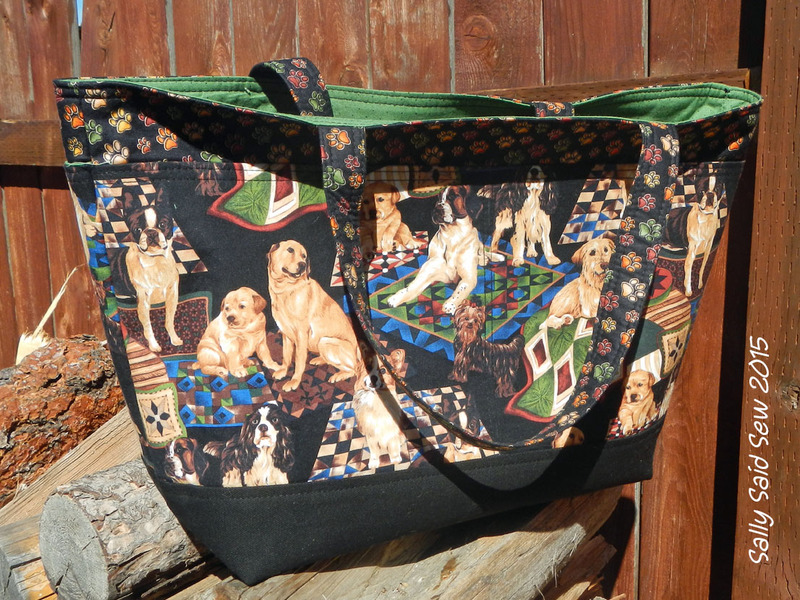 These are made from my pattern and feature four exterior pockets, two interior pockets and a canvas/duck cloth bottom for durability. My travel schedule the past several months has kept me from my sewing machine. I have done a few things, but not much. That is about to change in a serious way! My current job was supposed to be for twelve weeks. That was 31 months ago! We finally found a suitable candidate for my job and I have been in training mode the last few weeks. After the second week in June, I am going to have lots of time to sew and sew and sew some more. One of my goals with the change in job status is launch Sally Said Sew into a home-based business. I still have several things that need to occur to make it a reality, but I am working on checking those to-do's off one by one. One thing you should notice immediately is that it no longer shows blogspot.com in the website address. 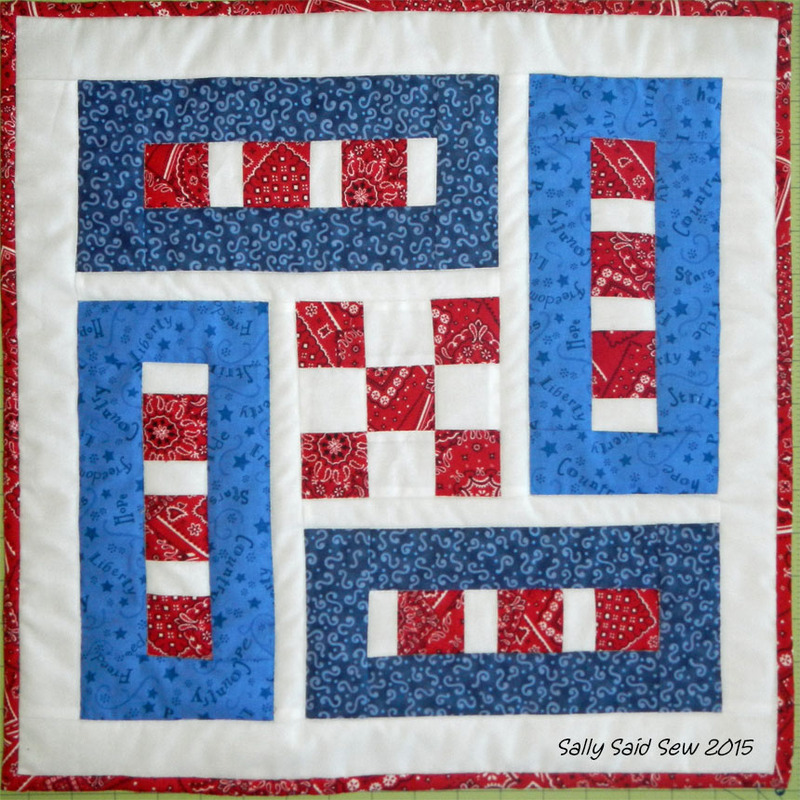 Yes, I have registered sallysaidsew.com! I have to start somewhere. Thanks for stopping by and I hope you will be back to see the changes that are coming.